Erika Szychowski launched Good Zebra in 2016 to offer protein-packed cookies as an alternative to bars. Editor’s Note: In this ongoing column, The Digest, Entrepreneur.com News Director Stephen J. Bronner speaks with food entrepreneurs and executives to see what it took to get their products into the mouths of customers. Manufacturers kept denying Erika Szychowski's idea for protein-packed cookies. Even worse, they actually liked the product, they just didn't want to make them. "I was visiting factories in lots of different cities and the response I got was, 'great product, kind of surprised us, but we're not going to make it," she says. "'This is a farmer’s market product, a local bakery product, a small-scale commercial kitchen product,’ and I thought, that's just not me." 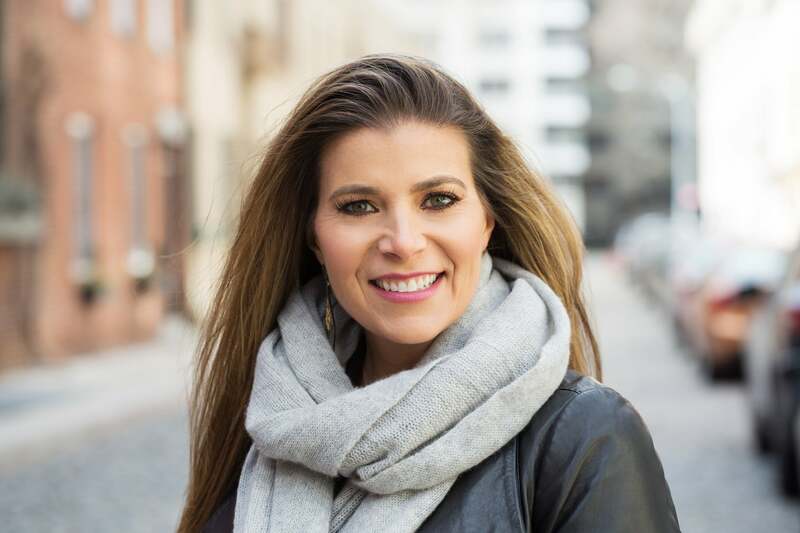 Szychowski, who had spent her entire career in branding and marketing, with her most recent stint at Nine West, had her heart set on a cookie that could serve as a replacement for bars, but to make it, she needed to pivot. Five years ago, the vegetarian found herself eating two or three protein bars a day, especially when she was traveling for work to places that couldn't accommodate her diet. But eating protein bar after protein bar got boring, and Szychowski didn't like the sugar in them. So, she started baking her own bars and cookies, which she would share with her co-workers at the footwear division of Nine West. The home-baked goods proved so popular, she says, that she seriously started considering a career switch. "I started to take data and the insights that I've been gathering for eight months while I was still in my role and really looking at consumer insights around food," Szychowski says. After the rejections from the manufacturers, "I started looking at the food space in general to see if I could identify products that were ripe for reinvention." She settled on animal crackers, packed with protein. "When you hear animal crackers, something happens for most people: it's nostalgic," she says. "And yet animal crackers are only in large format and not clean ingredients. There's no nutritional value to them." 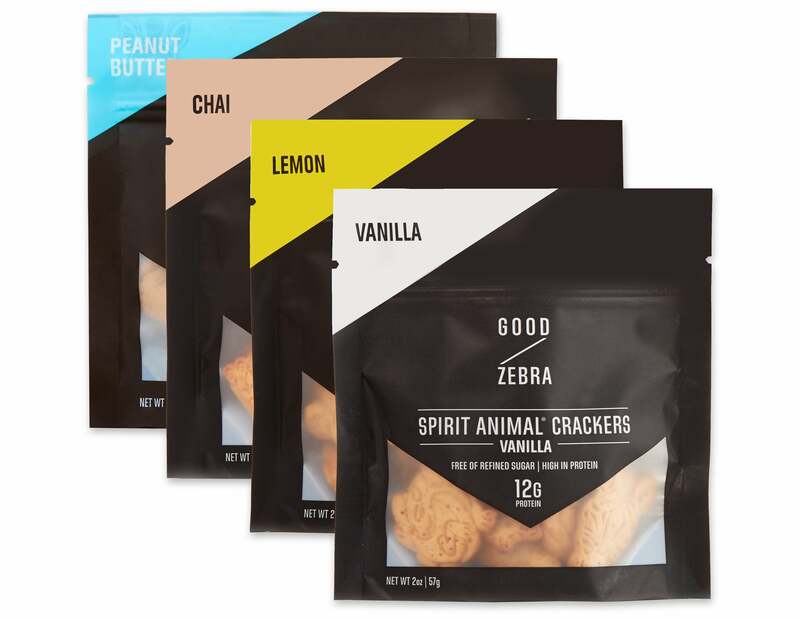 Her company, Good Zebra, officially launched in March 2017 and features flavors like vanilla, chai and lemon -- something both adults and kids can enjoy. Each bag of crackers has 12 grams of protein, equivalent to a typical protein bar. The crackers can be found in about 500 stores, including Peet’s Coffee & Tea nationally and at airports, as well as Amazon. The company says it grew 188 percent this past year and is on track to double again this year. Szychowski shared more insights with Entrepreneur about thinking liking a marketer and the big problem in the food industry. How did you settle on the idea of protein-packed animal crackers? I had to put my marketing hat on and create a product that consumers would know what to expect and immediately know what it's supposed to be. Baked by Melissa did not invent the cupcake. They made it cool again with this little mini cupcake. In my lifetime popcorn was cooked on the stovetop. Then we had an air popper. Then we popped in the microwave. And now you get pre-popped in a bag. Every one of those evolutions, a new brand reinvented it. Somebody came in and said I could do this better. The day I declared I was going to quit and start pursuing food, I had a group of my direct reports over and I had this big brainstorming session. I had six to eight hours with some incredibly insightful marketing minds. We created a list of about 25 products that I've either made or that could be under this umbrella of reinventing it as a better-for-you product. Animal crackers were on that list. What were the challenges of bringing Good Zebra to market? This isn't something that you can make in a commercial kitchen. Everybody laughed at me and told me it's not possible to remove refined sugar from a molded product. You can't add protein; it adds moisture. Everything was "no," "no," "no." Even the person that I now work with said "no" at first, and then called me back and said, "My mentor taught me better than this. You take on these projects that you don't think you can do to see if you're right." Were there any big breakthroughs that allowed it to happen? Persistence was probably the biggest thing. A tremendous amount of trial and error. The first time we simulated the experience on the production line, it went perfectly. It was one of the best things you've ever tasted. They were beautiful. The next day, we could not replicate what we did. You have a lot of those moments. Then all of a sudden it starts to work, and then it just continues to improve. You didn't go directly to market once the product was ready, opting for a soft launch. Why? What I decided to do was cobble together a litmus test on this product. What do people like? What don't they like? Is the packaging working? Can people get it open? We ran about seven months that way. And basically it was a 100 percent pass-through business, meaning there was no money to be made. We learned things around shelf life. We learned the packaging wasn't as durable as it needed to be. When we had our official launch March of the following year we were in much better shape to be confident that people's experience would be vastly improved from where we had been in the soft launch. Were there dangers of taking on animal crackers? There was a couple of things about making an animal cracker that I felt were critical. I didn't want to get pigeonholed into the kids section or lunchboxes; I wanted to create something that everyone could consume. Our language and personality from a social-media perspective is super cheeky and can be borderline offensive and or aggressive depending on who you are. Even our animals themselves were designed by a tattoo artist, so they are not circus animals of the past, and they don't look like cartoon characters. Again, [this was done] to elevate that experience and make it more acceptable on an adult level. Then lastly the flavor profiles. We do have a vanilla cookie, but the profiles of this product are certainly on the adult spectrum. Who was your first big retail partner and how did you land that first deal? Peet's Coffee was our first national retail account. When we made the product we formulated it to pair with coffee. I did group discussions with consumers and found the vast majority of them aligned with coffee. Also, this idea that I don't take coffee on an empty stomach; it makes my stomach hurt or makes me gassy in the afternoon. When we approached Peets that's basically the story that we told them and it resonated. What can entrepreneurs learn from your experience in selling to Peet’s and other retailers? Being willing to pivot is very important. I've pivoted a half a dozen times if not more. And don't say never. With every opportunity to discuss with a retailer what you believe your value proposition is, you'll start to understand whether that value proposition resonates, and you have to remember that buyer is also a consumer. Then persistence and nothing is forever. Even when something does start, you still have to realize how to maintain that momentum. How am I going to stay at a profit? You don't sell a product a retail and expect that everything's great. You have a role to play in its success. What is the biggest challenge in the functional food space and how are you able to overcome it? Hands down the answer is cash flow. The CPG space is actually quite depressing in regards to cash opportunities. I would also say that being female doesn't make that any easier. It's going to be an ongoing battle to scale the business. You need to invest in it, and you can't save your way to profitability. Slow and steady works great for a lot of products, but it doesn't work for my product -- primarily because of upfront costs of this type of a product. Not only the R&D cost and time, but the sheer volume you have to produce when you're making a molded product is very different than if I was making cookies in the commercial kitchen. The good news is your margin can improve just as easily. What marketing tactic has been most effectively brand and why? Word of mouth. It doesn't have to be the big paid influencer network, but rather, people finding the product, having a positive experience and sharing. This is tenfold more valuable than pushing content at people. I have not paid for influencers or marketing, so it is rooted in authenticity. You have to be willing to give your product away. You have to be willing to figure out how to develop deep-rooted relationships. But once you do, it becomes a really valuable network. I also found that something that resonates is storytelling. Don't just talk to people about your brand, product and yourself, but talk about other people and their responses or the whys. What's the most unusual thing about working in this space? I have found it to be the least welcoming industry that I've ever stepped foot in. It is a good old boys club. It's lacking innovation on a scale that is inconceivable with retail distribution. Retailers and distributors both have to start thinking differently. Innovation is happening at an experience level. Food retail has had some innovation, but it's an industry that makes its business on volume, not margin. So if you don't have access to volume, how do you survive when there is no margin? The big retailers haven't quite figured out how to deal with emerging brands, because they don't drive the awareness. You don't go walk into the national store that you grew up with and walk around looking for new products. You repeat purchase based on your own needs. You have a routine. To break that routine you actually have to create an innovation space. But the big giant guys aren't innovating; they do what they do really well. It doesn't mean it's what the consumer is looking for. The consumer quite probably will buy the discovery product. They'll pay even more for it. They support small businesses. They like this story. They prefer the natural ingredients. But distributors and retailers are not getting to them in that channel.